2017 RIWAY International‘s fourth quarter “Top Leaders Meeting” will see us flying everyone to China, Hangzhou via a luxurious chartered private jet for the last “Top Leaders Meeting” before we enter our 10th Anniversary. 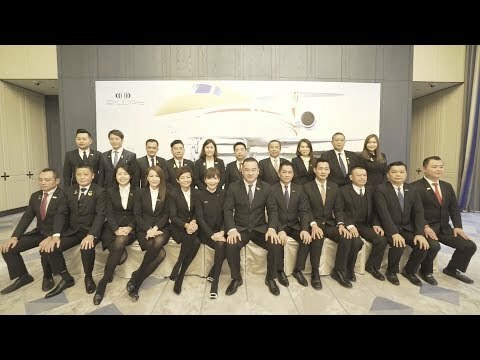 The competition to be included in this quarter’s list is fiercely intense and unprecedented as only the Top 15 Team Elite Pegasus leaders will be travelling with our Core Management Team on board the luxurious private jet to Hangzhou for the meeting that is distinctively meant for extraordinary leaders like themselves. Along with RIWAY’s thoughtful arrangement and coupled with the impeccable service on board the jet amongst other perks, we are certain beyond any doubt that this experience will leave everyone with unforgettable memories filled with great significance. Therefore, this “Top Leaders Meeting” will surely be known as “The most dazzling luxurious private chartered flight” as it is imbued with luminance from the brilliance of RIWAY’s extraordinary leaders.